Today I'm thrilled to share with you, Episode 11 of AFK. In this episode I take you on a tight little journey of Saturday Night's Game Night with friends. I had a wonderful time, and I hope that everyone else did as well. Nights like this are what keep life worth living. Today I’m proud to release RE’s newest Logo Design by Wyatt Campiz. This design was assigned as a sort of challenge to Wyatt, to see just what he is capable of under the pressures of a time constraint, and by golly I believe he delivered! So now, I’m opening up the floor to the Minions of Internet Land, can you see yourself rocking some RE schwag? 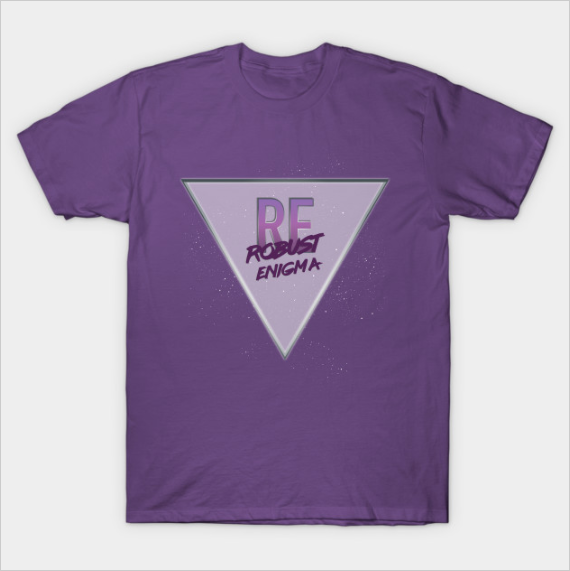 Come represent Robust Enigma with some sick Retro Wave Merch! For a limited time, this design is 20% off, so act now while you can save some doll hairs!